From Jason Brice: A Google image of the same view, looking west from the Highway 126 bridge over the Santa Clara River, about halfway between Castaic Junction and Del Valle. From Jason Brice: Google image showing the location today (2014) of the "pile driver" image in RO2803e. 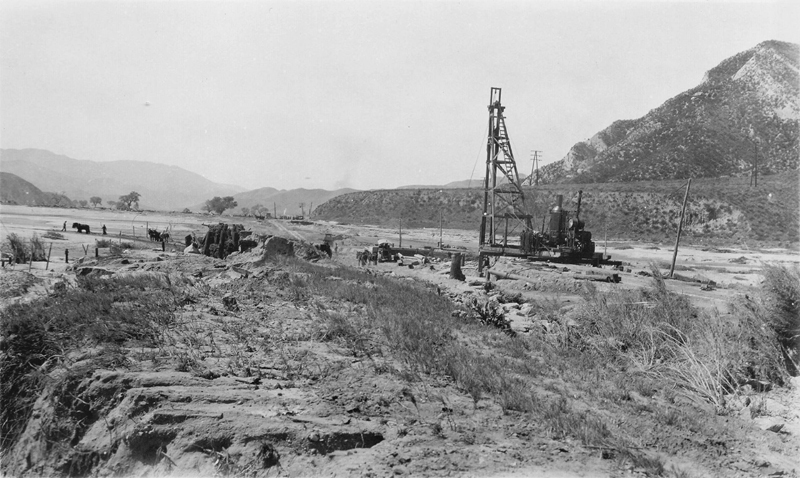 The red circle surrounds the hills behind and to the right of the pile driver. The red arrow is pointing at it from the photographer's position. 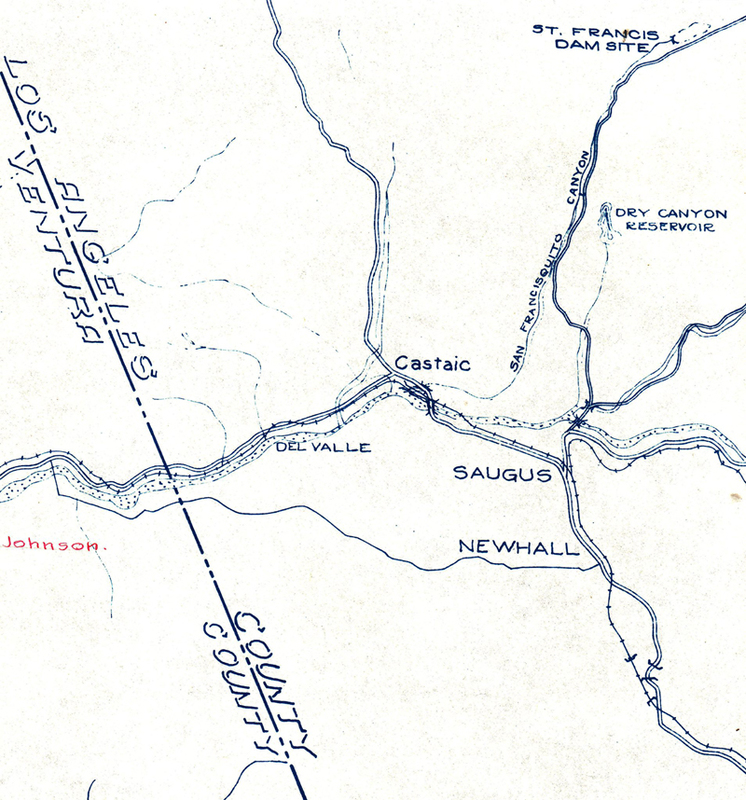 The blue lines are the edges of the Santa Clara River bed with the highway bridge between them (under the red arrow). The road in the middle, running perpendicular to Highway 126, is Commerce Center Drive. The industrial buildings between Commerce Center Drive and the red circle are the U.S. Postal Service mail processing facility. 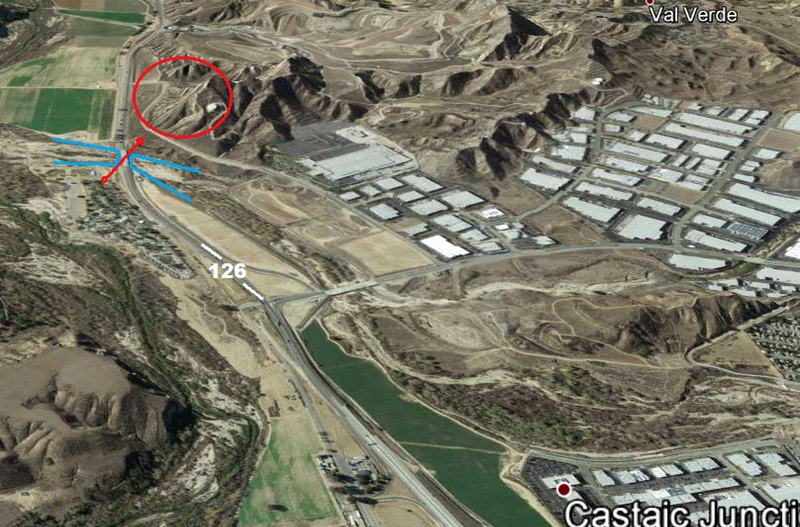 Immediately behind the red circle (above it, to the right) is the Chiquita Canyon Landfill. RO2803e: 19200 dpi jpeg. Online image only.